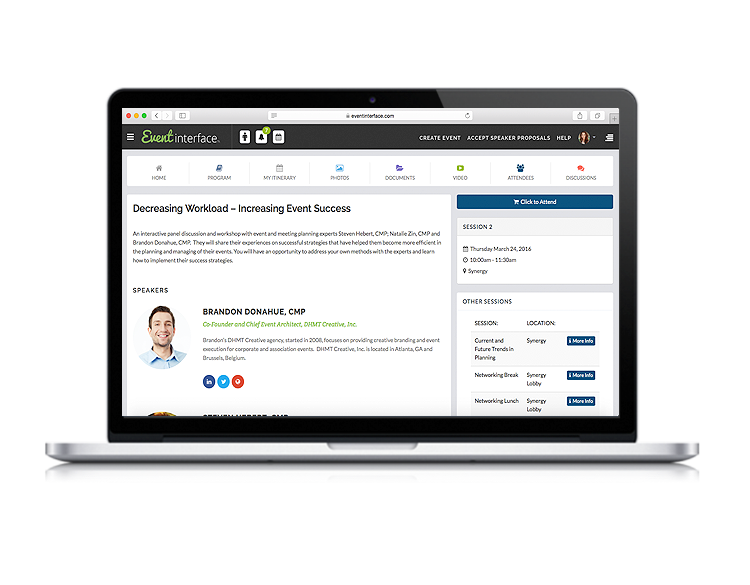 Eventinterface, a Scottsdale-based event and meeting planning platform launched Eventinterface PROGRAM and Eventinterface ITINERARY, fully integrated solutions for event planners to engage attendees and generate new event revenue. “Events and meetings play an integral role in bringing together people around a cause, brand, product or service,” said Al Wynant, Eventinterface CEO. “We are no longer thinking about events as something that brings people together for a few hours or days. Events unite people around a common interest and planners; marketing and product development managers are beginning to understand the value of engaging their attendees pre-, during and post-event. With Eventinterface we are now making that community building super easy and cost-effective, and we include ways to monetize content and opportunities to generate new event revenue,” said Wynant. Eventinterface already simplifies and automates many of the tasks planners do. The solution allows planners to easily collect and analyze attendee data, gather and share event content. Eventinterface PROGRAM and ITINERARY in combination with Eventinterface PITCH now offers a full-featured engagement suite for use by planners and attendees. Event attendees, speakers and sponsors can schedule appointments with each other. Planners can share simple to complicated multi-session events, speaker bios, session videos and PowerPoints. Planners can keep the conversation alive after the event and continue to engage attendees, extending the lifecycle of events, building value for all stakeholders and increasing ROI on the event. Attendees can build rich itineraries, easily track their event participation and retain access to exclusive event content and conversations. “Planners using Eventinterface to its fullest have experienced increased event revenue by more than 30%, and decreased management cost by as much as 25% by incasing efficiencies. 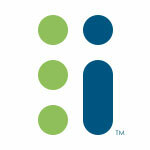 Stakeholder engagement increases as well by as much as 27%,” said Wynant. Eventinterface is a SaaS platform that helps Event and Meeting Planners plan events better, build new revenue streams and create powerful communities before, during and after events. 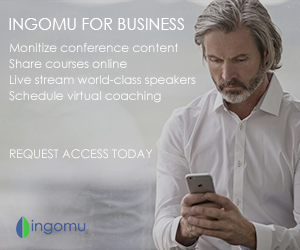 Planners pay a monthly subscription fee to use the service that includes unlimited transactions and events planned.